Man Utd manager has humourously commented that this weekend's win over West Ham was lucky and admitted it would have been very unlikely that the Red Devils would have beaten a side of Barcelona's calibre. Ironically, Man Utd face Barcelona in the quarter finals of the Champions League. A Paul Pogba brace from the penalty spot was enough to secure a victory of the plucky Hammers, who would have felt hard done by with their excellent performance at Old Trafford. The visitors could easily have taken home three points if not for some questionable refereeing decisions. 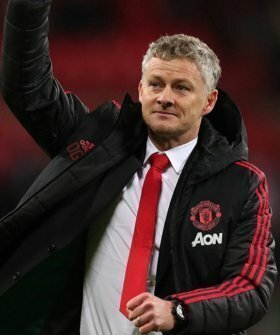 Solskjaer told reporters after the game: "Sometimes you get more than you deserve and today is one of those night. Watford was one of them as well but then Wolves and Arsenal, we should have won, so it evens itself out in the long run. Man Utd will take on Barcelona in their next crucial game in midweek.